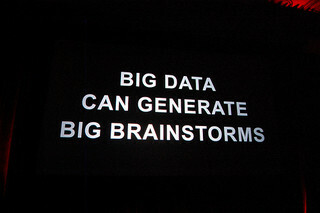 Big Data in the Humanities and Social Siences? Yes – there’s a bunch of it! Posted: June 13th, 2012 | Author: Sven | Filed under: Projects, Report | Tags: big data, humanties, social sciences | Comments Off on Big Data in the Humanities and Social Siences? Yes – there’s a bunch of it! The Council on Library and Information Resources (CLIR) issued the first public appraisal of the Digging into Data Challenge, an international grant programme first funded by JISC, the US National Endowment for the Humanities (NEH), the US National Science Foundation and the Canadian Social Sciences and Humanities Research Council. Their findings are presented in a report called One Culture – Computationally Intensive Research in the Humanities and Social Sciences, along with a series of recommendations for researchers, administrators, scholarly societies, academic publishers, research libraries, and funding agencies.